Today it's friday. Tomorrow it will be saturday. And then, there will be sunday. THIS sunday. EOC Sunday. ... when thinking about that my heart is bumping, giving me the heebie-jeebies, my fingers are getting cold but at the same time they're sweating, the breathing is getting faster - I'M READY! Follow the final live on SRF info! During the last 2 weeks we have been running the swiss selection races for EOC 2018 in Ticion. The first race was just running, 5000m on track. I have never been running this distance before, so I had no idea, what time I should expect. The result was 18'21'', I think this is okay. 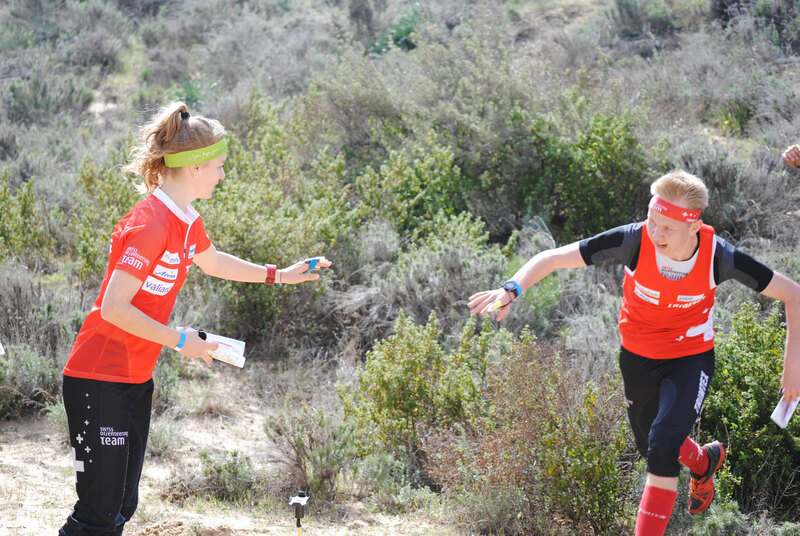 Only a few days later we had the orienteering test races. I'm happy with my sprint and a 5th spot. But I'm not happy with my middle. I was running a very good race but some controls before the finish I was overlooking a control and a bigger mistake was born. It destroyed a result in the top 6 I guess. The last race was the long distance and I totally loused it up. My orienteering was bad, my shape was bad, my mind was not having the right attitude and I was so disappointed in the end. 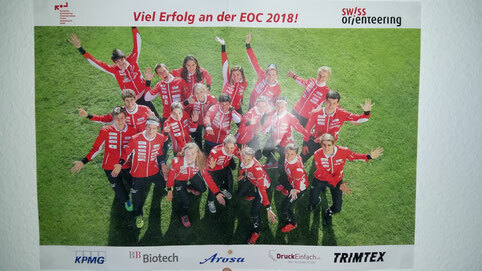 EOC was not really a goal for me because I knew, that I have to run very good selection races to have a chance to get a place in the swiss team. In my first year as an elite, this is very ambitious. So I was taking the races very seriously, but I was not expecting a selection. But this was wrong! On tuesday morning we got the selection and - what?- my name was on it. Seems like I will be running the Sprint. At Elite European Championships. In Switzerland. Challenge accepted. First I was excited. Then I was looking forward. And then I suffered a little cardiac arrest. Because I was realizing all the consequences of this selection: missing 2 more weeks of University ( EOC preparation camp included), having exams during the camp and the EOC and the week after EOC, EOC races which are asking for hours of preparation, having 3 selection races for World University Championships only 3 days after my EOC race, having to prepare them too... So only some minutes after getting these great news some big hazard flashers have been blinking in my head with the word HELP! I was completely overstrained and there was only one solution: take the running shoes and go for a run, then we'll see. Coordination will be my lifesaver. I could hand over to Sime in 3rd position and she was able to catch up and was coming back in first position. A very strong race from Säru on the last leg was bringing the championship title to ol norska and the raskt tog team! Now I have to focus on sprint for the last 3 weeks before EOC but then I want to change my new image of being a spinter ( because I want to be an orienteer - not a sprinter!). And then, very soon Jukola/ Venla is coming! Unfortunately I mispunched a control during one of our team intern selection races for the first team, so I have to run very strong at the last 2 races that are counting. Anyway, our team will be very strong and doesn't matter if I will be running in the first or second team, this event will be unforgettable. The last week I was spending in Spain together with the Swiss O Team for the annual southern trainingcamp. As almost every camp it was great and although the weather was not that brilliant as we have been hoping for, I was enjoying it a lot. But this week and the time before have also been showing me, what it really means to be in elite class and that it's not as easy to handle as I was thinking. After every camp I'm asking myself, about what I should be writing on my homepage. All athletes are posting their experiences and every time you are reading similar things. So I'm wondering if I should just go with the group and share my opinions from the bygone weeks or if I should think a bit over my head. This time I dare to write about my very own thoughts and the struggles in my mind. I was looking forward to the Elite Team since I was starting into my last year as a junior, means beginning of 2017. I was feeling a lot of pressure during the last year, I was expecting medals at the competitions and I had the impression that my surrounding is also expecting this. My own, very high expectations made it quite hard to accept a bad race, a mistake in the forest, a competition not ending in top 3, already a training that was not very good was resulting in doubts. It was taking several good races to make me feel a bit more self-confident but only one bigger mistake to destroy it all and to create big doubts and a lot of uncertainty. To be honest, JWOC was one of the hardest weeks in the past year and every day I was looking forward to the time after the competitionweek, in which I could train how I was feeling, running without thinking about orienteering, doing triathlon, enjoying a life without competitive sport. The problem has been /still is, that I was not having a concept how to deal with pressure. And this was the reason why I couldn't wait to start 2018 with the elite team. I was thinking, in my first year nobody is expecting any medals, I won't be having the claim to run in top position. I was thinking, this year will be the chance to develop my skills in a very calm environment and to find a solution for dealing with the competition situation. But actually it's not exactly what I was imagine. I mean, of course I'm not aiming for top positions, I don't want to run the same speed as the other girls of the team, I know that I have a lot to work on with my technique. But the pressure coming from myself is bigger than ever before. When doing a big mistake out in the forest, automatically there are thoughts coming about 'you cannot do this being in the national team, you have to get better', I'm thinking that I'm not running fast enough, one single training can end up in so big doubts and full of desperation, giving up myself for a moment. These are the trainings where I'm standing in the forest with tears in my eyes and asking myself why I'm doing that. But then, when I'm running very focused, with a very detailed plan how to get to the control and then - päng- you are exactly coming out where this little white- orange flag is standing, this feeling, filling the whole body with a little bit of proudness, then I know again why I'm an orienteer! The same way as this situation has been, I'm trying to solve my struggles with the pressure: being afraid is okay, but then you have to see the reality, accept it, tackle the problems, finding solutions, develop yourself and find the right way! First I wasn't sure if this is a good idea to write about my very personal thoughts. But I think there are other athletes feeling the same and every sports(wo)man is facing some troubles during their career. This is okay and totally normal - we just have to find the right path to solve them! My season was not perfectly what I was aiming for but it was okay. Due to an injury I missed a top position at the swiss champs in long distance and because of a bad race I missed the podium at the swiss champs in middle distance. Instead the sprint champs have been very okay! At Jukola I was very disappointed because my race was filled with mistakes, but thanks to my teammates we could still finish in a good final position. At JWOC I was running 5 times, this means every race, into Top 10 and I am very happy about this consistency. On the other hand, I was annoyed about my two big mistakes in long and middle distance. Then I could finish the season with good races at JEC. At the end of the season I had my first trainingsweekend with the Elite Team and already the first test races. I'm happy with my Saliscenditest, which is a steep crosscountry testrun in a ticino forest to compare our physical developement with regard to EOC 2018. 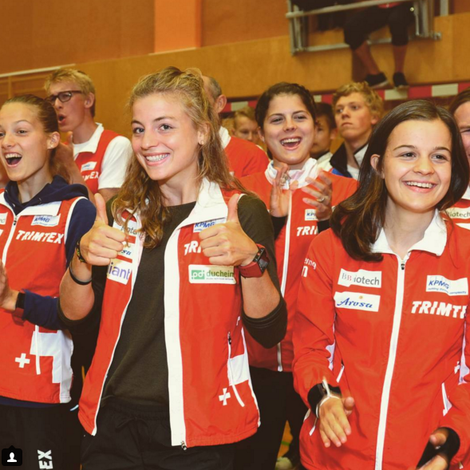 I feel very comfortable and happy in the Swiss Team and it is interesting to have new inputs and new people to train with. I think, the next year together with these teammates will be great! Together with the new national team I was also joining another new team, the raskt tog team from ol norska. After a lot of reflecting and discussing I decided to join them and to train and compete together with the people from around Berne. Our main goal is Jukola and Venla 2018 but for me the most important is the atmosphere within the group. Some of the people I know very well and already after this short time it feels a bit like home when I'm training with them. Of course we are training seriously and ambitiously, but we are also laughing and discussing a lot. It feels so good to be together with this team and I'm looking forward to 2018 to share a lot of experiences and moments with the raskt tog team (rtt)! Because of my studies I won't be able to travel to Scandinavia except for Jukola but thanks to the rtt I will still have great trainings in Switzerland and I will be able to work hard on my orienteering skills. So full speed off to 2018 with the express train! Many thanks to Tampereen Pyrintö for borrowing me and their flexibility, so that I still have the possibility to go back training in Finland! Also thank you very much all my sponsors valiant bank, duchein sa, s-sport team, next sport generation and loterie romand for your support during the season! The time after JWOC was everything else than boring, it was quite the contrary! There were a lot of new things happening and I experienced some little adventures. Some days after JWOC I was traveling to France for a trainingscamp with the regional squad but maybe this was not the best idea. 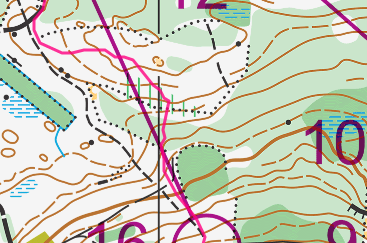 The terrain was very challenging (which would have been cool) but I had no motivation for some difficult orienteering. My brain was still filled with the pressure and strain from JWOC and it was very hard to concentrate on orienteering. I was enjoying the nice time with my friends but I made absolutely no progress from the technical point of view. After this week the real highlight of my non-orienteering time was upcoming: Triathlon in St. Moritz! If I wasn't doing orienteering on high level I would immediately start with triathlon. I was enjoing every minute of the swimming, biking and running and I'm already looking forward to the next possibility to compete in a triathlon. 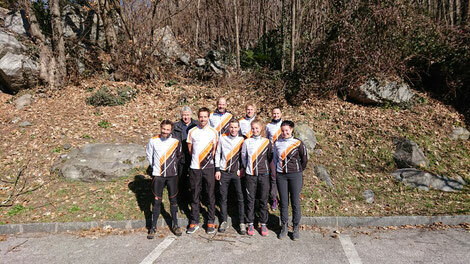 I was also running the Winti- SOLA (a running relay around Winterthur) with the one and only Winti- Gang (pretty much all orienteers living in and around the city), it was great! 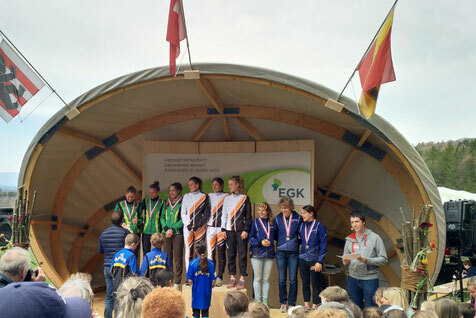 Then we went to Austria for competing at JEC Junior European Cup where I could show some good last races in the juniors category finishing 2nd (relay), 5th (long) and 2nd (sprint). Followed by a one week trainingscamp I was closing a very nice and successful year. The cherry on the top was the selection for the swiss national team - the big one! Of course I am more than happy about it and I can't wait to start the season 2018! That's it, this was JWOC 2017! Wow, time was flying... JWOC 2017 in Finland was the big goal of the year and I was preparing therefor since the end of last years JWOC. All the time it seemed to be so far away but then suddenly the competitions were starting. The Swiss Team was arriving in Tampere 4 days before the competition for some trainings and for getting a homelike feeling. The event has been starting on sunday with the opening ceremony. But then the first race was starting, the Middle Qualification. I wasn't very nervous because I knew that I don't have to be the best one, I just had to qualify for the final. The 20 first runners of every of the 3 heats made it to the A Final. With a very stable race and almost no mistake I did my job and took the second place in my heat. Next step: Final! The jumpiness I didn't had before the Qualification was added to the excitement before the Final. Already during the evening I was very twitchy but the morning before the race was like going through the hell. We tried to make a jigsaw but the longer it went on the more uneasy I got. I felt sick and my hands were shacking. I was very happy when I could finally leave for the quarantine and after some hours there I could eventually start my competition. Already at the first control I was catching up the runner starting before me. But she was running very fast with doing quite a lot of mistakes so I was concentrating on my own orienteering. My race was very okay and also after the arena passage I could handle the knowledge that I was in the lead. There were some mistakes in the end of the race but all in all I could keep the focus and took all the time I needed - until the las control. It seemed to be very easy, just following a path. But there was another path and I was just running because never ever I was thinking that there could be another path. Only very late I realized my mistake and I was loosing too much time, finishing the race on the 7th place. Even though this result is not too bad the disappointment was just huge. It was not just a technical mistake, it was a very stupid one, a mistake I was never thinking about in my preparations. But there was not a lot of time to be angry, the Sprint race was waiting. The next morning Sofie and me were leaving very early, we had the first and the third starting time. The unlucky Middle race was far away and standing at the pre-start I felt ready. Well, almost... there has been two pre-starts and for both I was late, I was entering the -3min start only at -2'20'', oups... this should not happen at JWOC! But I was not confused, I was even a but amused and so I was not worried about my performance. I was taking my map, reading it carefully, stoping at the spectator control (proud of it :P ), taking my routes... finishing a good race. For a long time I was in the lead, then there was Simona taking the lead, another girl was taking the second place - at the end I found myself on the fifth place. Again a very good result and again I was a bit disappointed. Maybe I was hoping for a medal but on the other hand I just have to say, that I was doing what I could, I was not able to run faster or to do less mistakes. So eventually I was happy with my diploma. But I wasn't feeling very well when I was thinking about the coming long distance and I was telling my mother that I don't want to run and that I can't deal with the pressure. But luckily there was a rest day between and some time to recover, not only physically but also mentally and at the end I was standing at the starting line for the long distance with a happy face. The long distance was very hard. I was doing some smaller mistakes, I lost some time on the long route because of a dubious out of bound area but actually my race was still okay. At the end the missing concentration was the reason for the destroying mistake. I was just "blue", totally tired, I didn't manage to check the direction and in succession I was following the wrong side of a prohibited area, losing almost 3min. Already in the forest I understood that this will cost me a good ranking. Still I ended up on the 10th place but I was very depressed. Again a very stupid and nonsense mistake. I was very upset of myself because I didn't take a energy gel with me, this mistake was only happening because I was really totally at my limit. But well, we can learn from every mistake..
Only the relay was missing and together with Sofie and Simona we could show some stable performances and taking the silver medal for Switzerland. I was very relieved and happy for this result. Thanks to my great relay-mates! This was my last JWOC. All races from my 2 JWOCs are in Top 10 (10-2-10-7-5-10-2) and I think this is quite okay ;) Maybe I was not reaching what I was dreaming about at this years competition but I was learning so much about orienteering and got a lot of experience. Thank you very much to all my coaches, the Swiss Team, the people from Tampereen Pyrintö (especially Janne Märkälä! ), my family and my sponsors! An athlete is nothing without his coach.